This is hands-down my favorite among the many spaghetti/pasta variations I make. Brown obviously because the sauce has that deep gravy color. 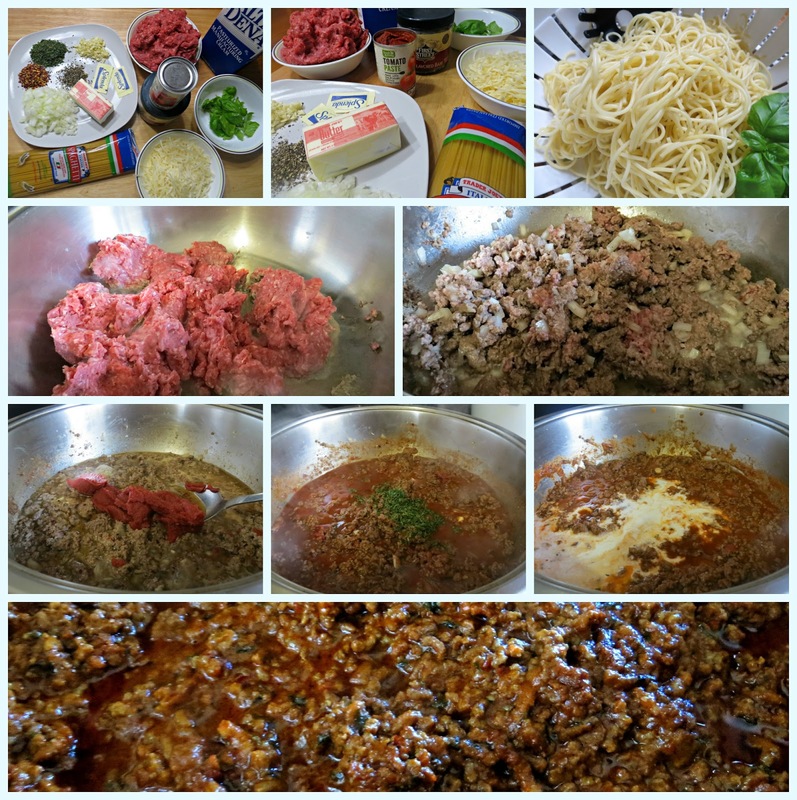 If you’ll break down the ingredients, you will notice that it’s like an abbreviated Bolognese sauce list. So 14 out of 23 and the result is meaty and beefy sauce with the rich tomato paste which gives the sauce its deep brown color. 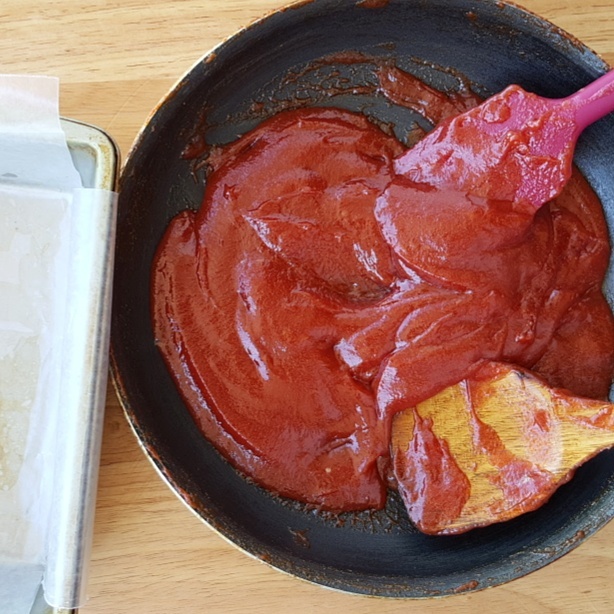 And if you’re wondering how tomato paste differs from tomato sauce- the first consists of tomatoes that have been cooked for several hours, strained and reduced to a thick, rich concentrate and has a fairly sweet taste. Tomato sauce on the other hand is a somewhat thinner version of tomato puree. The commercial or store-bought one may include seasonings and other flavorings so that it is ready to be used in other dishes or as a base for other sauces. So I start by cooking the ground beef- place in a pan over high heat and let the fat render. Then lower the heat to medium and allow the meat to brown and cook through. Transfer the meat to a colander to drain all the fats. Here I didn't have to do that as I used 96% lean meat- almost no fat at all. Start by sautéing the onions until translucent followed by the garlic and the rest of the seasonings. Then I deglazed the pan with the broth, added sugar and parsley flakes and finally- the heavy cream. Simmer for a few minutes until well incorporated and voila - brown spaghetti sauce! This sauce is really beefy in flavor with a little kick from the chili flakes. I love serving it with fresh basil for added freshness and shaved Parmesan cheese for that creamy goodness. It is Bolognese minus the veggies. So set aside marinara sauce if it gets tiring or boring and try this one. You may use part ground meat and part mushrooms for that earthy tone- I would use shiitake being my mushroom love. Got any measurements for this? I made it once and got it dead on. Made it again tonight and .... well let's just say it's vastly different. Help!